Update 5/1/14: I've just learned that plenty of copies of the Stems book are still available direct from High Voltage Publishing. I think this is only the second book review I've offered on Wilfully Obscure, so here goes. In the '80s, there were more than a few decent garage/psych revivalists to emanate from the land down under. For my money, two that really stood out were the Lime Spiders and The Stems. While the Spiders' collective legs seemed to web their way around the world for their proverbial fifteen minutes, the geographic challenge was more daunting for Perth's Stems, whom I don't believe made any inroads in North America save for a cut on the Young Einstein soundtrack (embarrassing times, I know). 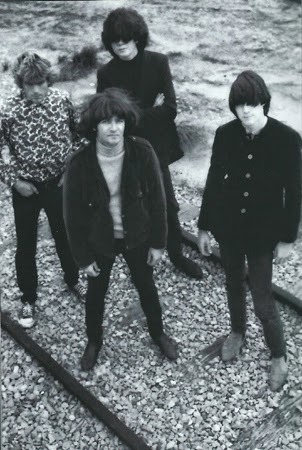 Yet the Stems, helmed by demigod-in-the-making Dom Mariani, were responsible for some of the most pristine and quintessentially definitive garage rock songs ever produced from that era, deliberately retro as they may have been. You see, while the Lime Spiders resided on the trashy, punk side of the continuum, Mariani and Co, were steeped in all things beat, Mersey and mod. George Matzkov's The Stems1984-87, is a primo keepsake of dozens of professional quality black and white photos of the band snapped at all phases of their tenure. But why a pictorial anthology of this band, who had a predominantly regional following? Much like opting to scale Mount Everest, "Because it's there." In the case of Matzkov, the photos - hundreds of them perhaps, were "there," languishing in shoeboxes, and warranted a larger audience. 1984-87 charts the Stems evolution from mop-topped coiffed rascals to modestly more contemporary looking young-adults by books end. The Stems farfisa-laden tunes, while impeccably performed, weren't particularly serious or weighty. To the contrary, the pictures consistently reveal the quartet in an almost unflinchingly austere and distinguished demeanor. The Dead Milkmen and Oingo Boingo should have been so lucky as to have had Matzkov document their respective trajectories, but I digress. I'm keeping my fingers crossed for a second pressing of this slim but impressive visual dossier. Accompanying the book is a CD of live Stems material, culled from multiple concerts, some of which were heavy on covers, and fitting ones at that - The Stones, Count V, Easybeats, Blues Magoos, and even the Plimsouls all get the Stems makeover. In the link below, I've set you up with two tracks from the disk, plus a pair of Stems classic studio sides, that were anthologized on Citadel Records Buds anthology. You'll also be treated to one song apiece from Dom Mariani's excellent power pop act The Someloves (who ran concurrently with the Stems) and his even more prolific '90s outfit, DM3. I've even tossed in a few page spreads of the book to whet your appetite. 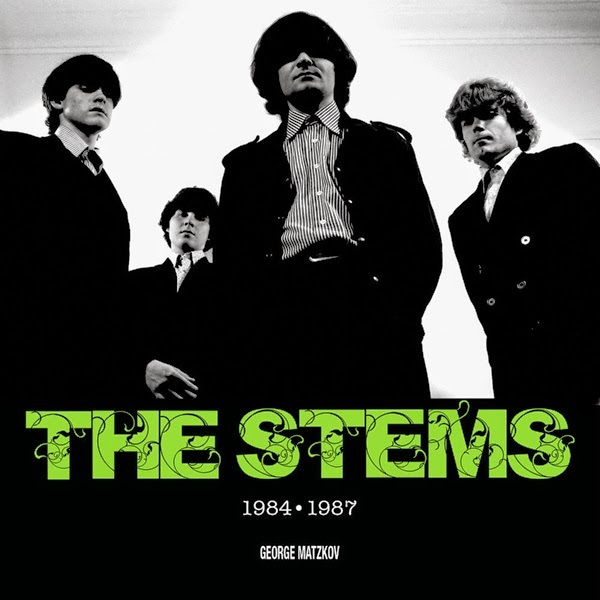 The Stems 1984-87 is available from High Voltage books in Australia. Crocodile Shop underwent an unbelievable and IMO, unfortunate metamorphosis not long after this extremely promising ep was released. A brief synopsis can be read on their Wiki page, but I prefer to speak only to their Head ep, issued on the Minneapolis-based Susstones Records. Head's five numbers were a synthesis of what Game Theory and Let's Active had served up just a few years beforehand, albeit Crocodile Shop slightly retooled that winsome formula with a tad more aggression. In fact, this (mostly) excellent disk could've easily passed for a Mitch Easter production. For the record, the band later disavowed it. I should add the last two songs, "Think of Things" and "Eyes Getting Louder," merge right into each other. I did my best at editing the transition, strictly by personal estimation. Hope you like. Should've been huge. 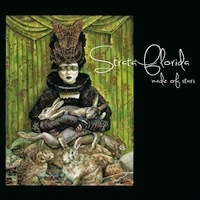 Reissue of 1986 classic with six bonus tracks. My primary grievance with Chicago's Bon Mots is the sheer infrequency of their albums (only three in the past ten years), but luckily, when they finally get around to laying down some new compositions they make it count. 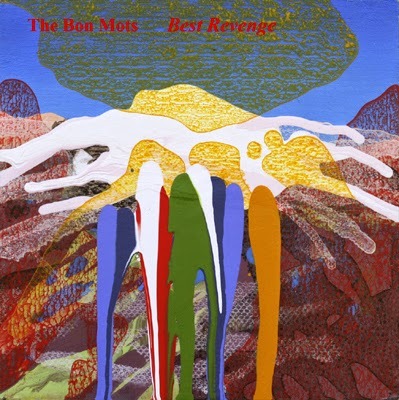 Best Revenge is their first since 2008's Forty Days and Forty Nights With the Bon Mots, and the warm, lived-in tenor of that sophomore disk manifests itself even more effortlessly here. 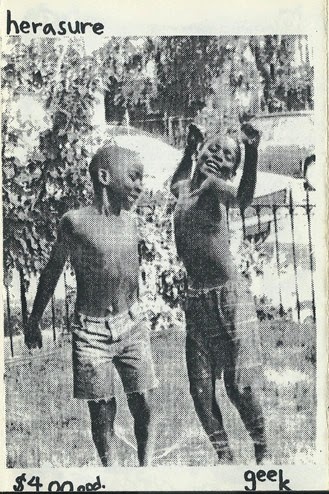 You can attribute much of that urbane penchant to the Mot's songwriting duo of Eric Chial and Mike Coy, whose harmonies would be taking on trademark status in a more perfect world. Boasting an array of rich, alluring hooks couched in a vague power-pop subtext, The Bon Mots suggest what Cotton Mather might have conjured up had they been in the same company as Rhett Miller and Ted Leo. You know that cliched "sweet spot" we've heard so much about over the ages? Well, not only does it exist, it's actually satiated on multiple occasions on Best Revenge. "All The Way (Down)" commences things on an assertive note, in di regueur Bon Mots fashion, not over or underplaying anything one iota. A bit further in, "Galahad" embraces a sprite, bouncy lilt, while the demonstrably looser "Rome's Burning" toys with half a Stones-y lick or two, maneuvering as smoothly as say, The Figgs. Better yet, the empathetically sobering "All Your Horses" and "Granted" harbor a semblance of uplift, in the manner that Sloan executed so deftly on Twice Removed. In a nutshell, the Mots nail it for the third LP in a row. You can hear (and preferably purchase) all of the aforementioned on Bandcamp, not to mention the Bon Mots brief back catalog. Best Revenge is available exclusively as a download for the time being, with a physical release to hopefully follow this year. Until I have a chance to rip some more wax, I thought I'd share this with you. A little bit off the beaten path for W/O, Tribeca were a one-LP wonder who made their debut (and to my chagrin) their departure with Incident at the Metropolis in 2006. Challenging orchestral pop with some downright sublime moments. Check out my critique for a venerable indie rock publication, contemporary to Incident's release below. 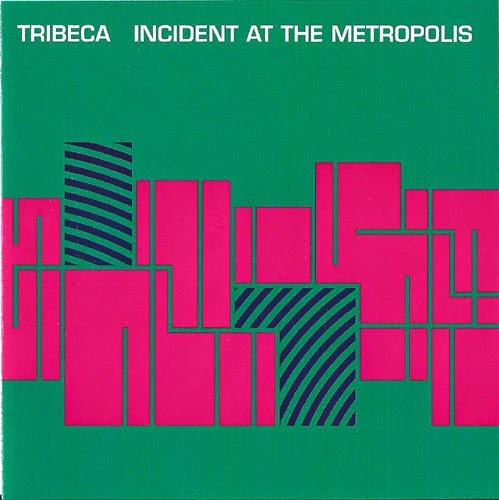 Tribaca’s debut, Incident at the Metropolis is not only one of the swankiest and most well manicured pop albums to come down the pike in a dog’s age, it’s also one of the most curiously enjoyable as well. I say “curiously” in the most charitable sense possible, in that an initial listen to pretty much anything here is likely to conjure up instant comparisons to ‘70s/’80s soft-pop. I suppose it doesn’t help dodging that comparison when you commence your album with a pair of tracks that smack distinctly of Gaucho-era Steely Dan. There’s no debating it. The better half of Incident basks in a sheik, cocktail lounge-endowed glow, but with posh arrangements a la orch-popsters The Heavy Blinkers, and some occasional Rundgren-esque inclinations, this L.A. quartet, whom would likely have been passed off as merely “conventional,” say 20 years ago, is anything but – so long as you’re willing to invest the time to let these nine sumptuous songs sink in. PS: I'm also tacking on three demos that were offered on the band's now defunct website. This week it's a 26-song singles compilation by a Leeds, UK combo who crafted some of the finest post-punk I've ever laid ears on. Despite what you may have heard, these guys weren't just the province of gloomy goth kids. It's a damn shame they're still not pumping out records like these, because they'd serve as the optimum antidote to all the genteel indie rock that's been clogging the toilet of late. Can you tell I'm just a tad jaded? One of the first titles I featured on Wilfully Obscure way back in 2007 was the long out of print, 1993 debut EP by Versus, a New York band whose slightly dissonant yet characteristically tuneful songs embodied all that was endearing about indie rock in the Clinton-era. I could go on and on, about the sinewy guitar theatrics, pensive lyrics, and mid-fi moxie of Versus' initially volley of singles and full lengths, but I'll spare you. If you can relate to what I'm attesting to, and you have an affinity for the aforementioned Let's Electrify! and/or their early 45s (compiled on Dead Leaves) then this collection of nascent, and more significantly, unreleased demos is something of a no-brainer. Ostensibly recorded when the band was still a trio (brothers Richard and Ed Baluyut alongside Fontaine Toups) these sixteen songs zoom in on Versus as they were just settling into what would become their signature sound. Most of these tracks failed to carry over to any commercial release, and by and large that was a smart decision. Why? While this is a decent enough listen (especially from a diehard's perspective) Versus' best work was still a few years in the offing. Though fleeting, we catch a few glimpses into their halcyon era by way of early versions of "Blade of Grass" and "Reveille." Per the tracklist below, you'll notice most of the selections are untitled, and unfortunately I'm not privy to what they are, but if anyone sitting at home wants to fill me in, by all means leave a comment. Enjoy. 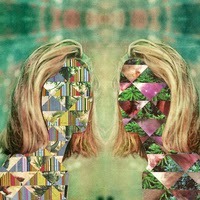 BTW, I also shared an ep by Ed Baluyut's pre-Versus outfit, Flower which you can dig into here. It's pretty safe to say that about 90% of Tsunami fans learned of Geek retroactively, and I stand guilty as anyone. 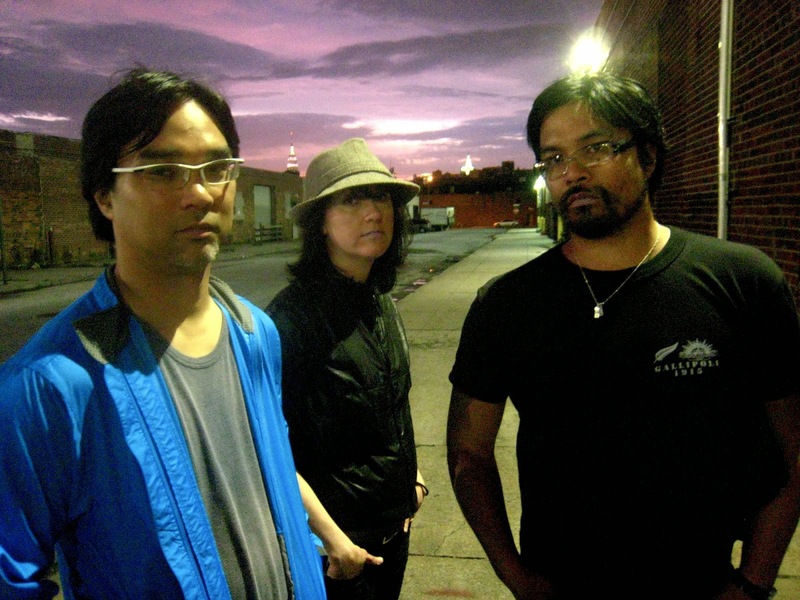 Tsunami were one of many indie propositions in the '90s that encouraged genuine fandom. As if three albums (Deep End, The Hearts Tremolo, and Brilliant Mistake) and a copious number of singles and comp tracks weren't enough, some of us were compelled to investigate the back pages of it's architects, not the least of which chanteuse and prime mover Jenny Toomey. There were no less than three Tsunami precursors that involved Ms. Toomey: Slack, Choke and Geek. Of this monosyllabic trifecta, the last of that bunch was the most visible, having released a cassette album, Hammer, as part of the 1992 Simple Machine Records Tool series. Recorded in 1990, that fifteen song tape was an ambitious, but not all-the-way-there endeavor, functioning if anything else as a springboard for Toomey's soaring and throaty timbre. However, before Hammer came Herasure, yet another cassette-only release, this one dating from 1988. 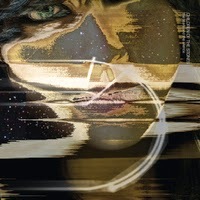 Equally as DIY as it's follow-up, Herasure benefits from surprisingly better fidelity, creativity, and hook-savvy charm. The short of it all is that Hammer sounds more like a debut, but all comparisons aside this six song artifact houses some really stunning tunes and bears a sophisticated prowess than it's nascent copyright date might otherwise suggest. In fact, Toomey coveys some of the most affecting melodies of her career on "Anthem (of Sleeping Mama)" and the unsettling title cut. Derek Denckla's chiming guitar fills are no slouch either. Incidentally, I posted a cassette rip of Tsunami's '91 demo, Cow Arcade about three months ago, which is still available here. New Noise - Saint Marie Records first quarter wrap-up: Spotlight Kid, Blackstone Rngrs and more. In recent years, Fort Worth, TX indie imprint Saint Marie Records has etched out an intoxicating niche for themselves, purveying a bevy of promising dream-pop revisionists. As it's come about, a spate of fresh releases have bowed in the past four months or so. Thought I'd enlighten you on a few of them. Spotlight Kid's 2012, sophomore disk Disaster Tourist was a devastating TKO to my eardrums, looming latticeworks of My Bloody Valentine-informed magnificence. Ten Thousand Hours bellys up to the same woozy watering hole as the aforementioned, but despite no lineup alterations, guitarist Rob McCleary is virtually mum on the mic for this go around, living the brunt of vocal duties up to Katty Heath. Standout selections "A Minor Character" and "Can't Let Go" exact the same engulfing toll that Disaster Tourist's finest moments did, but SK toss us a curious curve-ball in the guise of "Budge Up," a rereading of Dinosaur Jr's "Budge" boasting partially improvised lyrics. Next on the list is another co-ed conglomeration, "synthgaze" trio Blackstone Rngrs, who hereby give 'the scene that celebrates itself' one more reason to celebrate via their second ep, Descendant. BSR garner significant mileage by means of layering their heady sonic quilt, not merely with dizzying washes of tremolo, but beats and chimey guitar hooks. Aficionados of such disparate acts as The Drums and Slowdive will find plenty to latch onto amidst Descendant's six alluring grooves. On the more ambient tip, Children of the Stones is the product of Mark Van Hoen (formally of Seefeel and Locust among others) and Martin Maeers. Lacing just about every nook and cranny of The Stars and the Silence in a sedate digital glaze, CotS mix things up with glitchy maneuvers and a loose pop subtext that intermittently brings to mind Ultra Vivid Scene, and even more so Steve Kilbey's extracurricular activities outside The Church. The effect is that of an Rx-strength sedative without the groggy contraindications. Nice. By any chance, do any of you remember an early 90's 4AD Records combo by the name of Swallow? Whether you do or not, that Brit dream pop duo of Mike Mason and Louise Trehy stuck around for only one LP, 1992's ethereal and acclaimed, Cocteau Twins-inspired Blow. As luck would have it, some two decades on Trehy returns with a fresh-faced band, Strata Florida, who not only pick up where Swallow stalled, but up the ante considerably by doubling down on the guitars and venturing into louder, amped-out vistas. As if the oodles of gauzy tremolo and feedback swells weren't enough, Strata pitch in some electronic trickery to the robust proceedings. "By the Way," "Sleeper" and the title track are worth their weight in shoegazing gold. Many happy returns! All four of these disks are available direct from Saint Marie, not to mention your physical/digital retailer of choice. 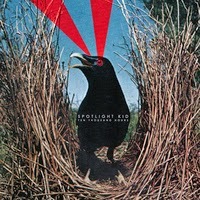 I've provided a few Bandcamp links below so you can try before you buy. Even those hipster holdouts regarding themselves as too cool for traditional power pop would have to be bananas for resting this Brooklyn quartet. In fact, how could anyone resist the 1-800-BAND's crisp re-synthesis of the Cars, Cheap Trick and Pointed Sticks, couched in a streamlined, 21st century delivery mechanism? Not me anyway. Lots of whirring keyboards all over this one, but the center stage on Diver Blue is occupied by a damn near-addictive stash of hooks. The title track all but sells itself, and can be experienced on the 1-800's Soundcloud page. 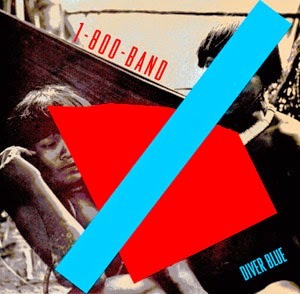 Diver Blue can be had on wax direct from Almost Ready and in ones and zeroes via iTunes, Emusic and Amazon. Despite their namesake, Youngtown, OH's Sister Ray fail to draw any clear parallels with the Velvet Underground, and for that matter they don't particularly strive to. Siphoning off fragments from just about every era of punk (and it's affiliated sub-genres) SR ultimately dole out their schtick with a garage rock ladle. 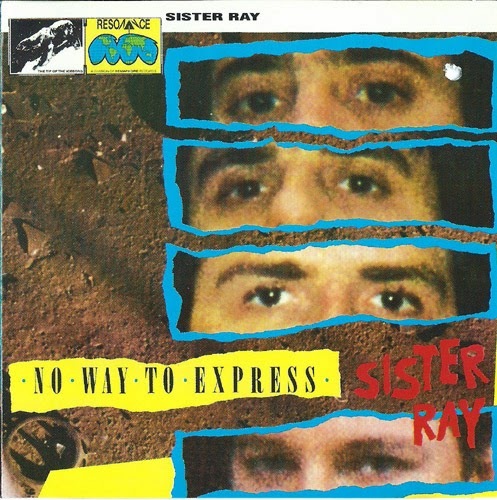 The first seventeen tracks comprise the No Way to Express album proper, with the remaining selections being plucked from 1987’s Random Violence LP. A big thanks to my friend's FB post from earlier today that inspired this post. It's vacation time folks. 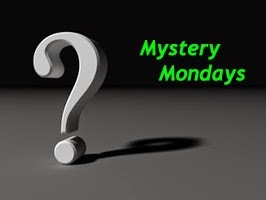 Which means no Mystery Monday next week or any more re-ups until I get return. Dig into what's available in the archives and check out some of the sites on my blogroll. Should be back towards the middle of the week. Ciao. 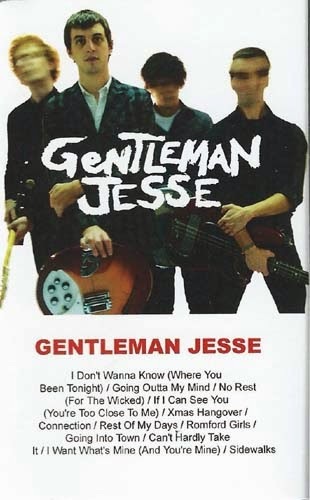 I've resisted dedicating space to Gentleman Jesse on these pages, considering most of his handiwork (and that of his requisite "men") is commercially available...except for this. As it's title implies. Singles & Rarities is a compilation album, that regrettably, has been offered as an exceedingly limited cassette-only release of 250 copies (mine is #29). Concocting a whip-smart amalgam of boys-next-door power pop, garage, and three chord punk, GJ was/is part of a relatively recent vanguard that also features in it's ranks the likes of the Marked Men, Jay Reatard (RIP), and King Tuff. It's music to shred PA's by for sure, but unremittingly melodic at that, conveyed with a steamrolling surge that stays lodged in your cranium long after the music's concluded. The 45s this collection is partially derived from are noticeably more lo-fi than the band's two proper albums, 2008's Introducing... and '12s Leaving Atlanta. As such, the rawer context makes for a more visceral experience, even if the formula gets a little samey after awhile. It would behoove fans of the Exploding Hearts, (and even stretching back to halcyon era Buzzcocks and Undertones) to immerse themselves in this gleeful half-hour-of-power. With any luck, Singles... will earn the vinyl/digital reissue it should have received in the first place. Datura Seeds - Who Do You Want it to Be?